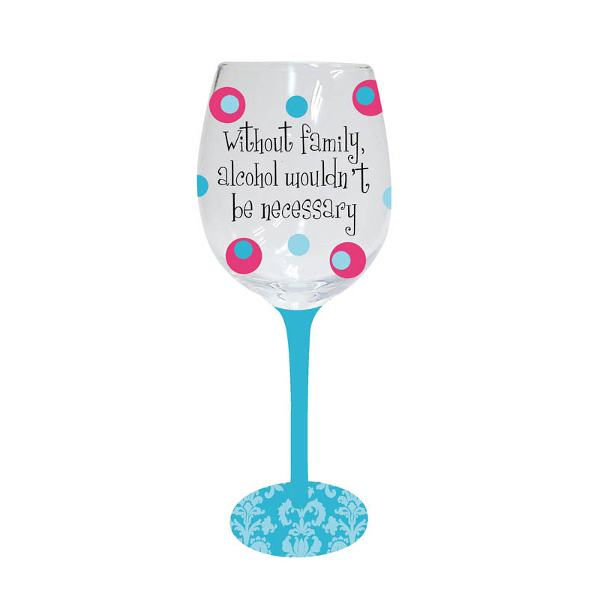 Drinking wine is always enjoyable, no matter the glass, goblet, or cup you use to hold it. 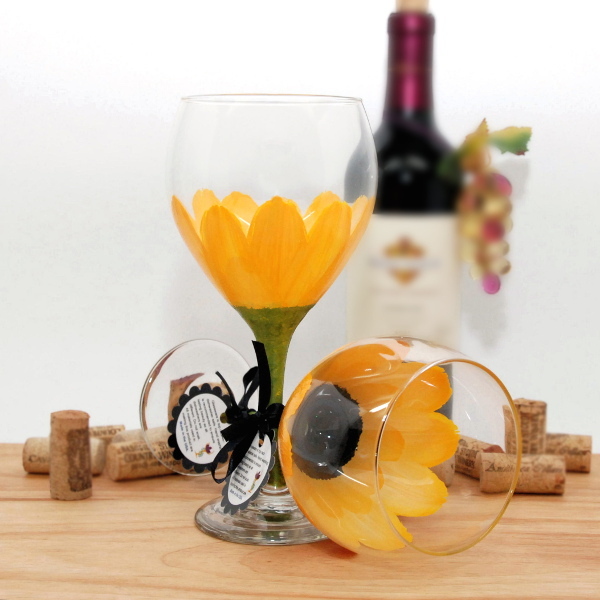 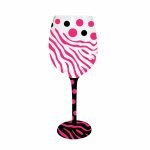 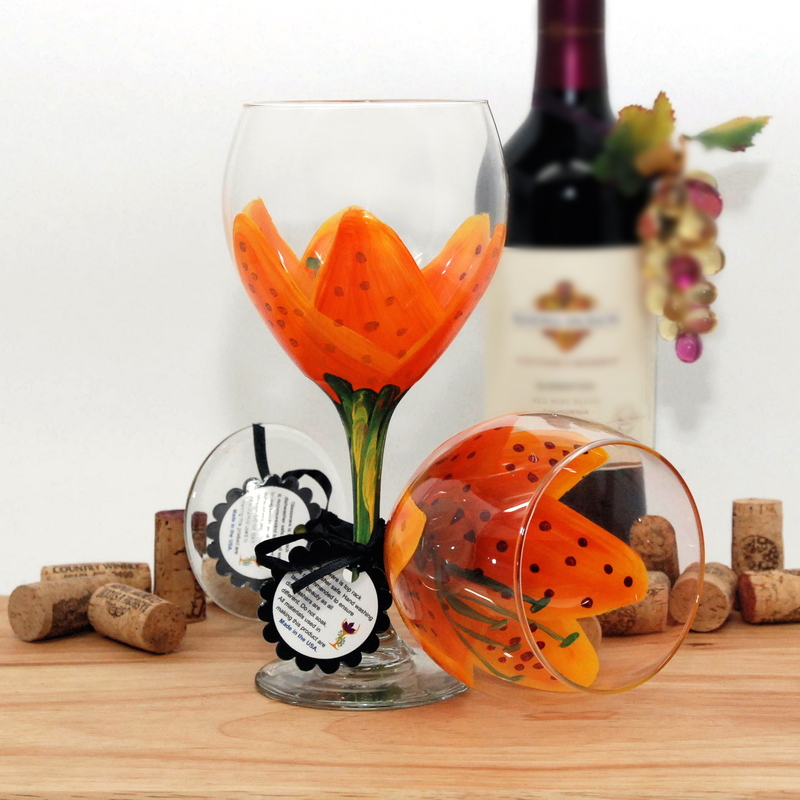 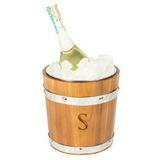 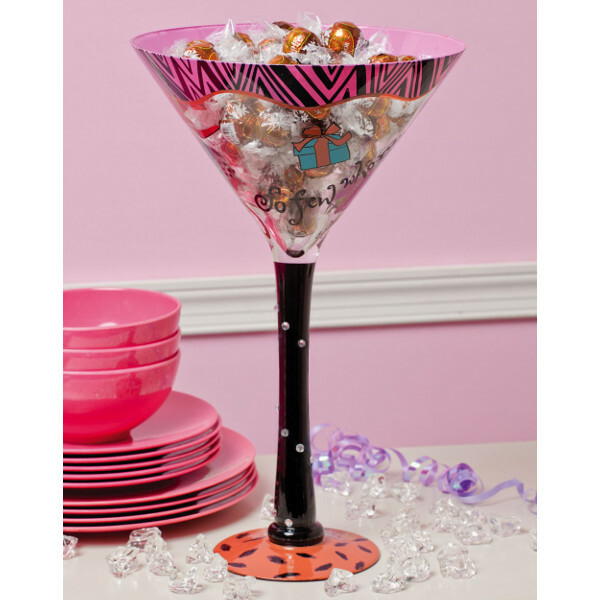 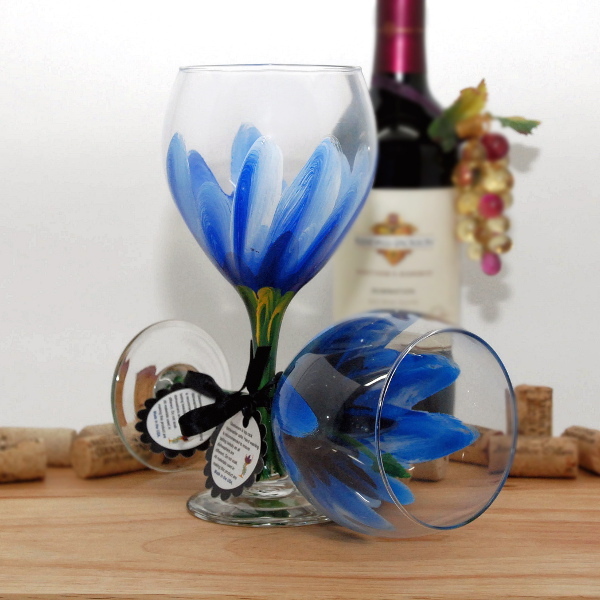 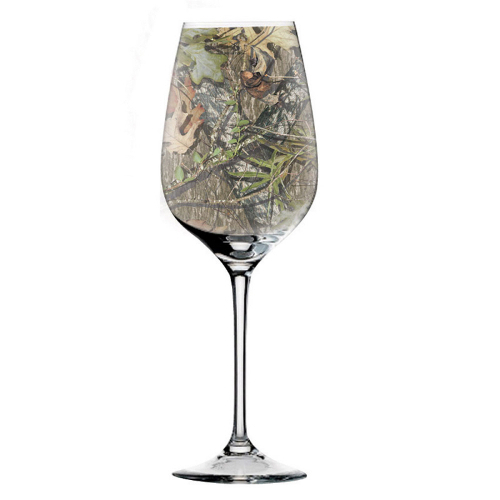 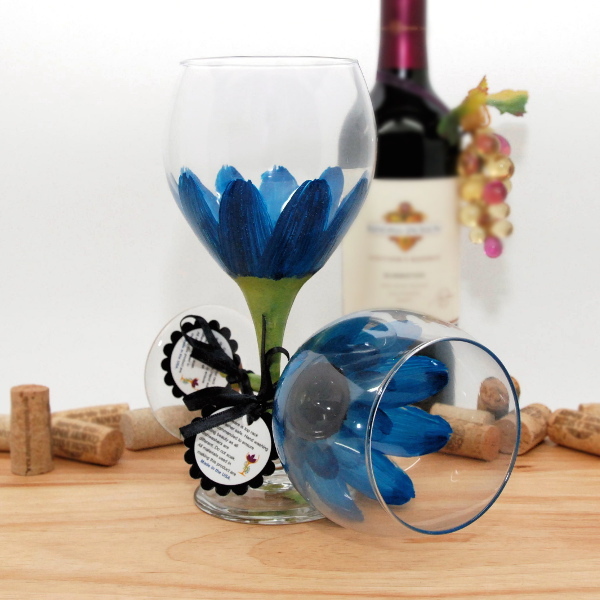 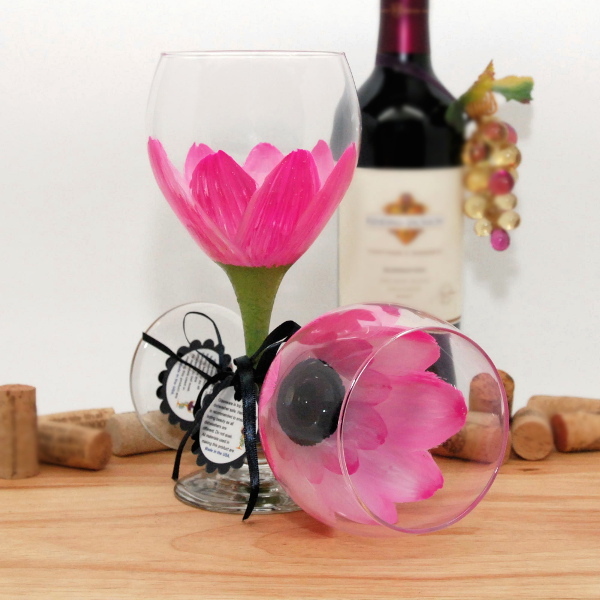 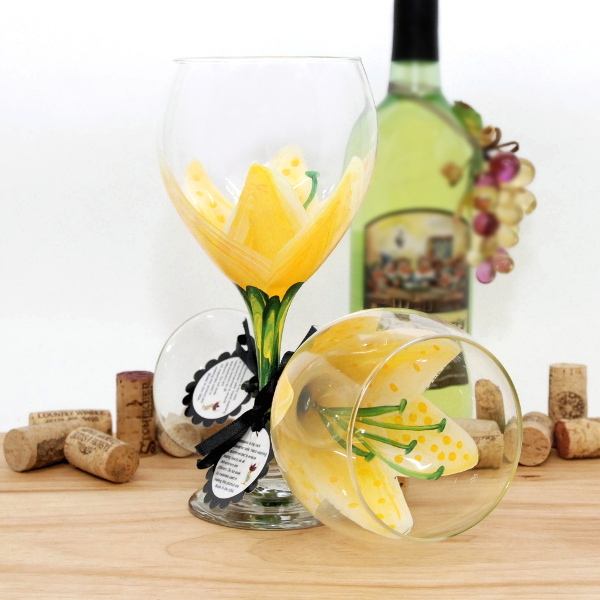 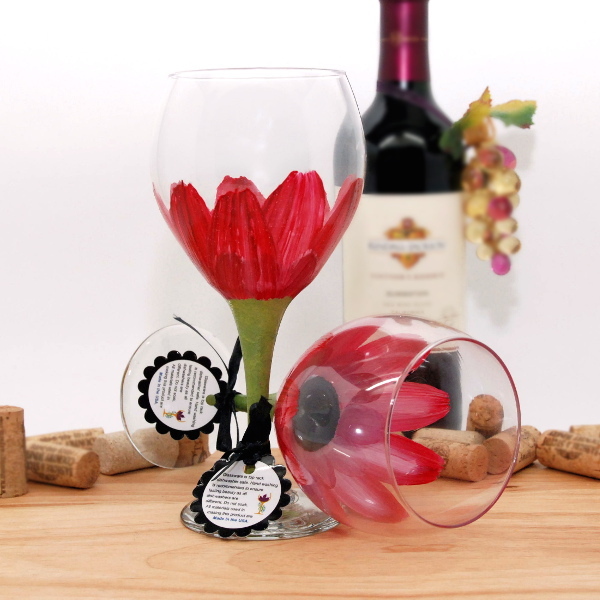 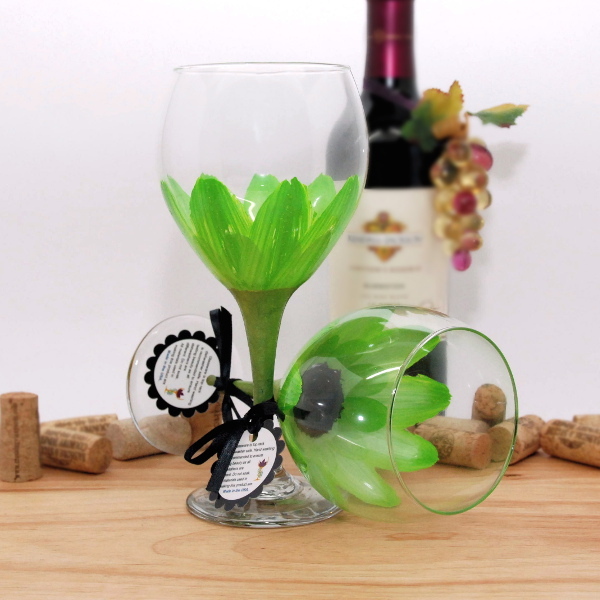 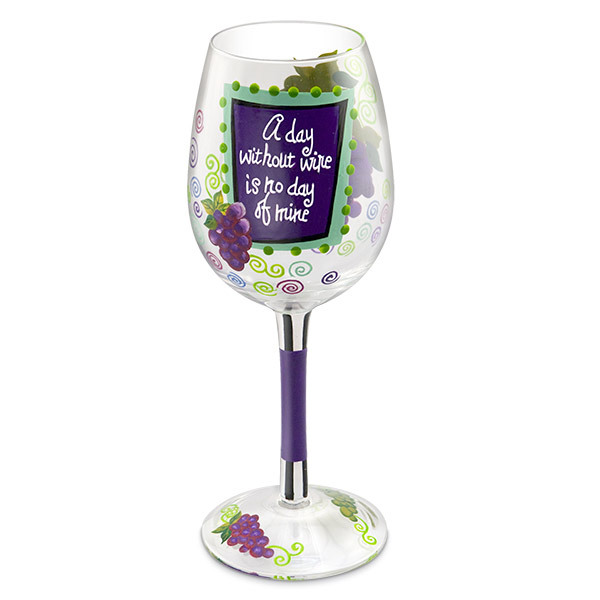 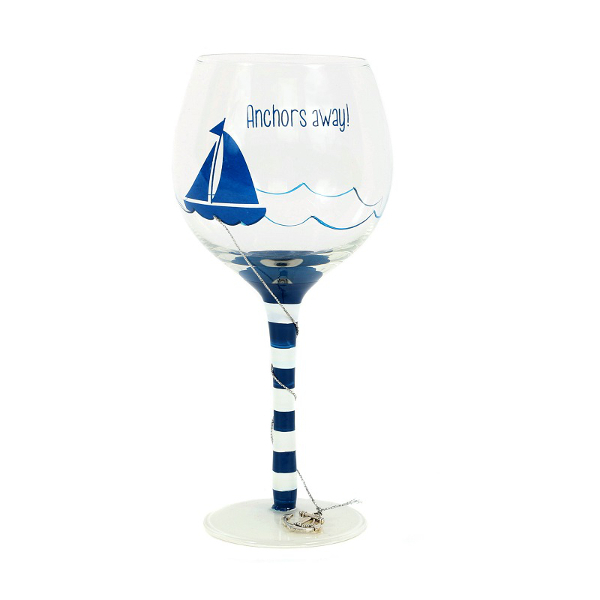 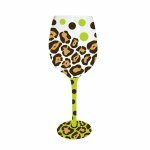 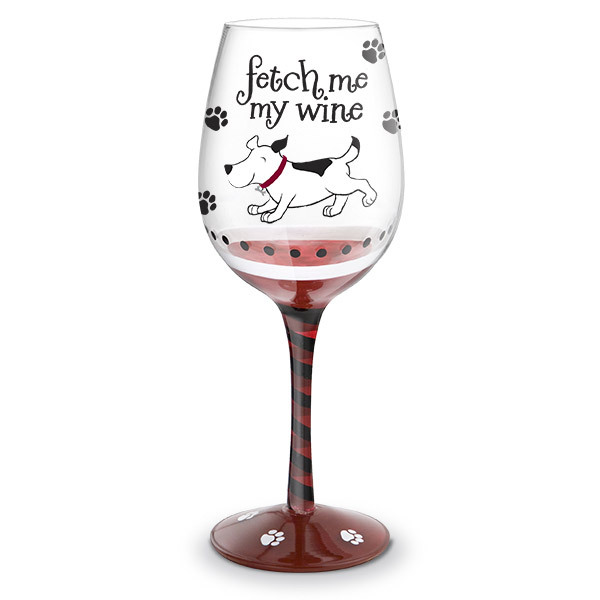 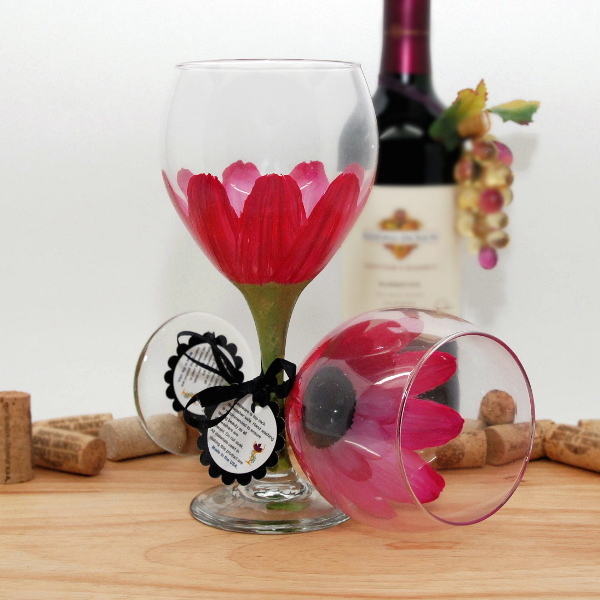 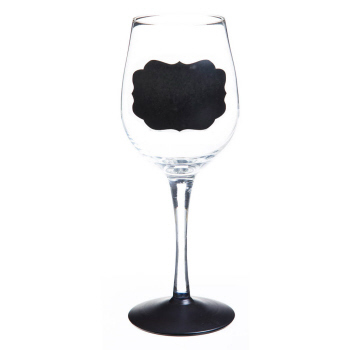 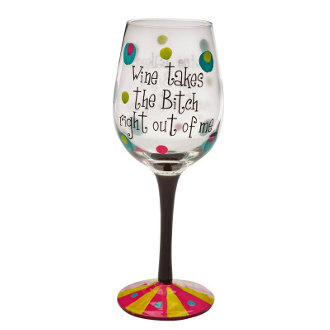 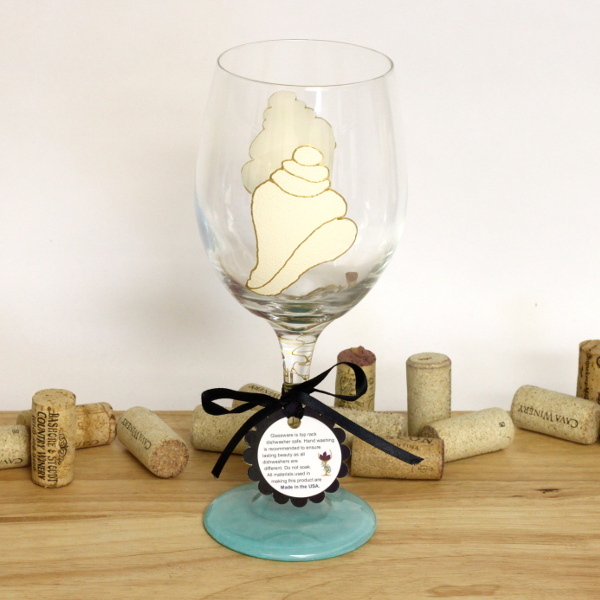 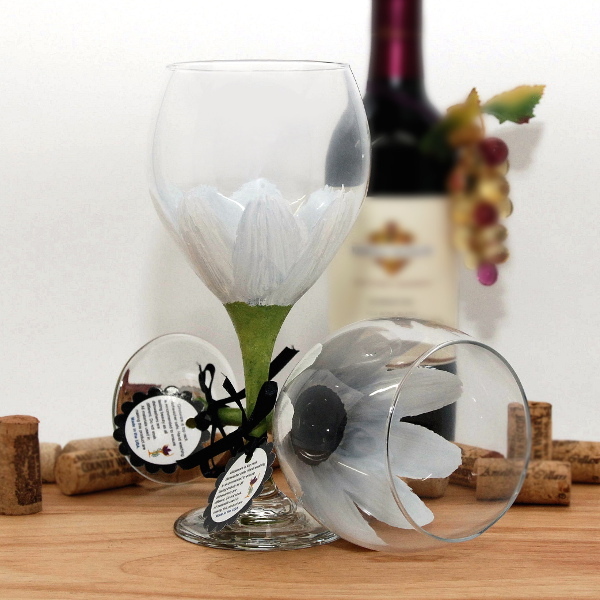 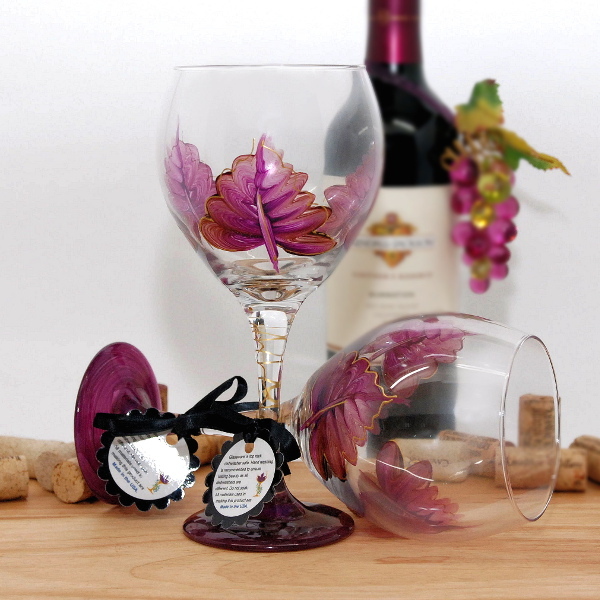 However, the experience can be made even more enjoyable with a painted or decorated wine glass. 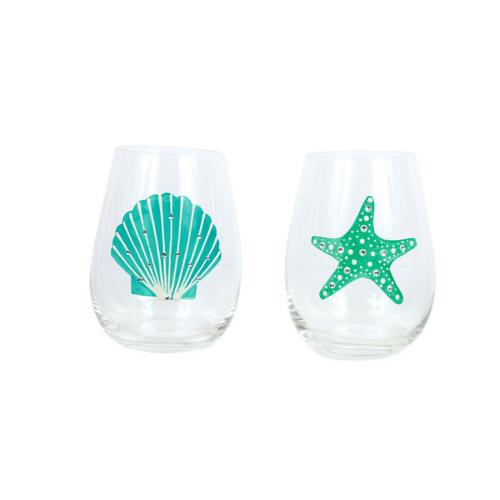 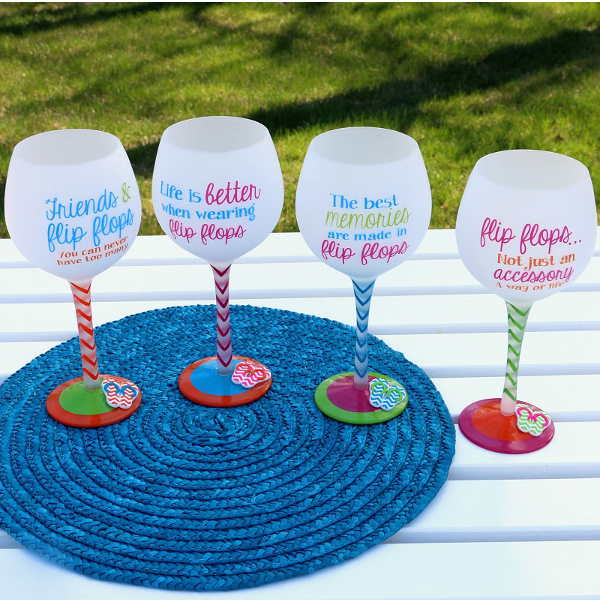 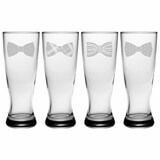 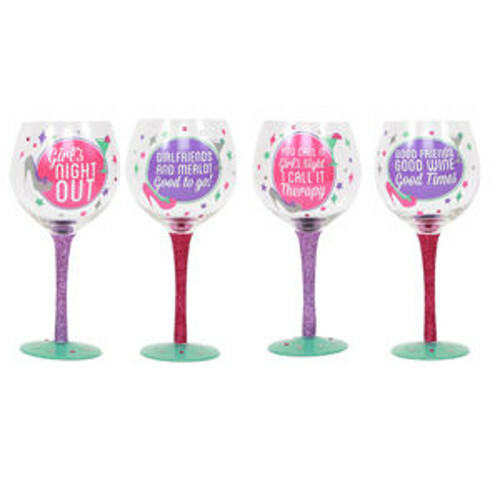 These glasses add a bit of vibrancy and flair to any occasion, making them a great option for anyone seeking a bit of fun during their next drink. 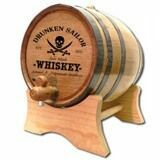 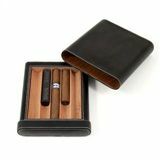 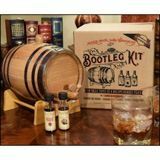 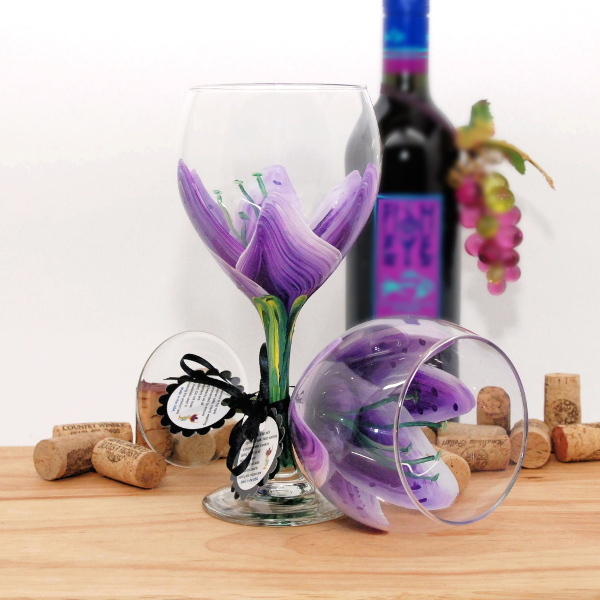 You'll become the life of the party and make everyone else jealous of how you imbibe in style. 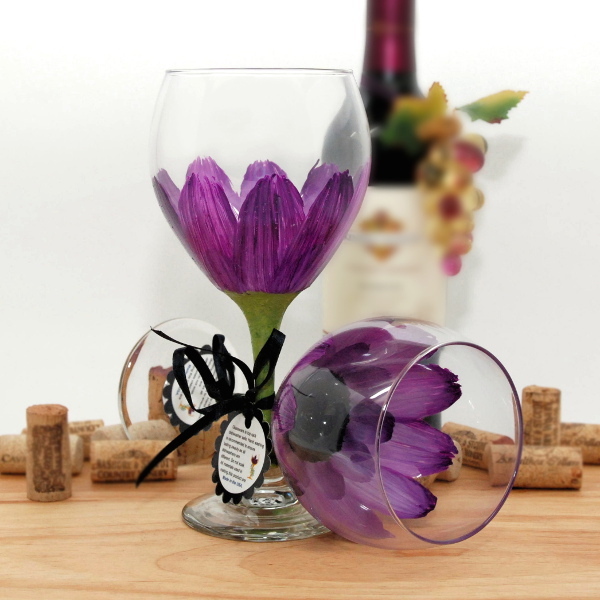 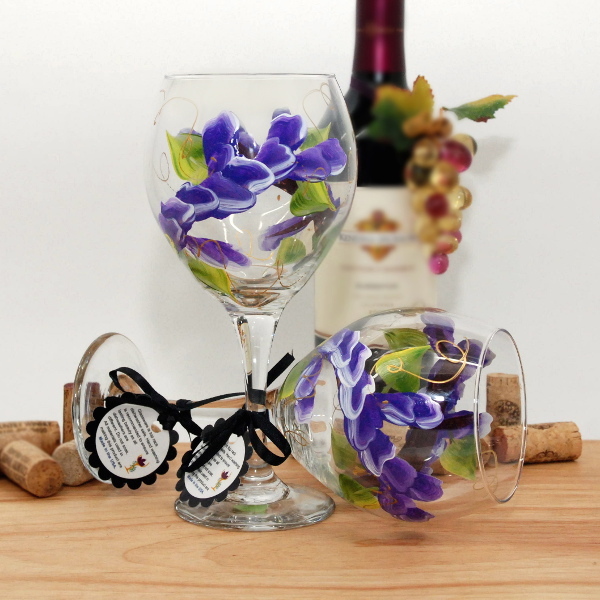 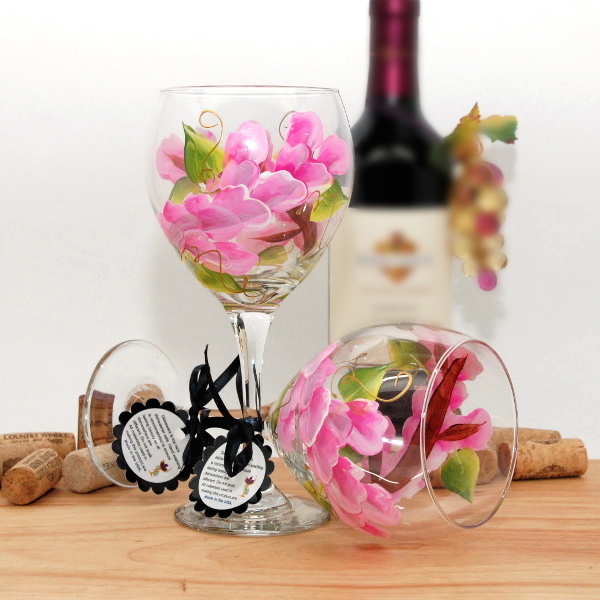 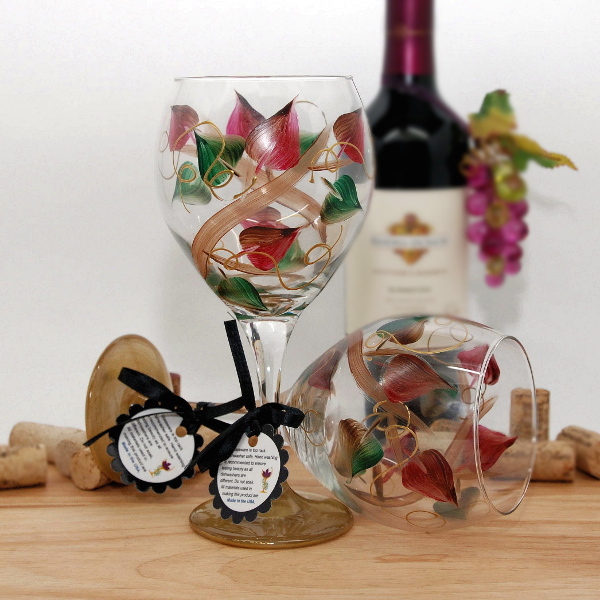 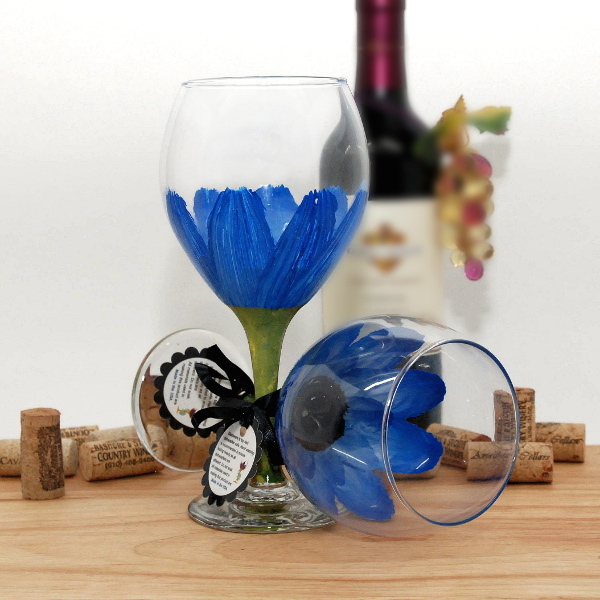 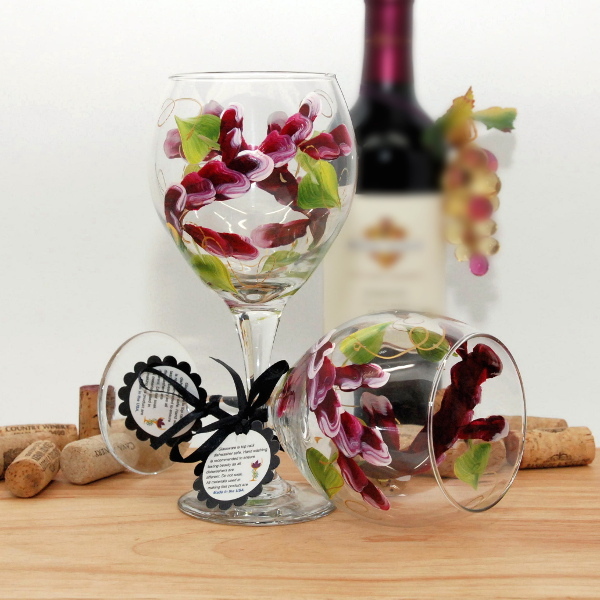 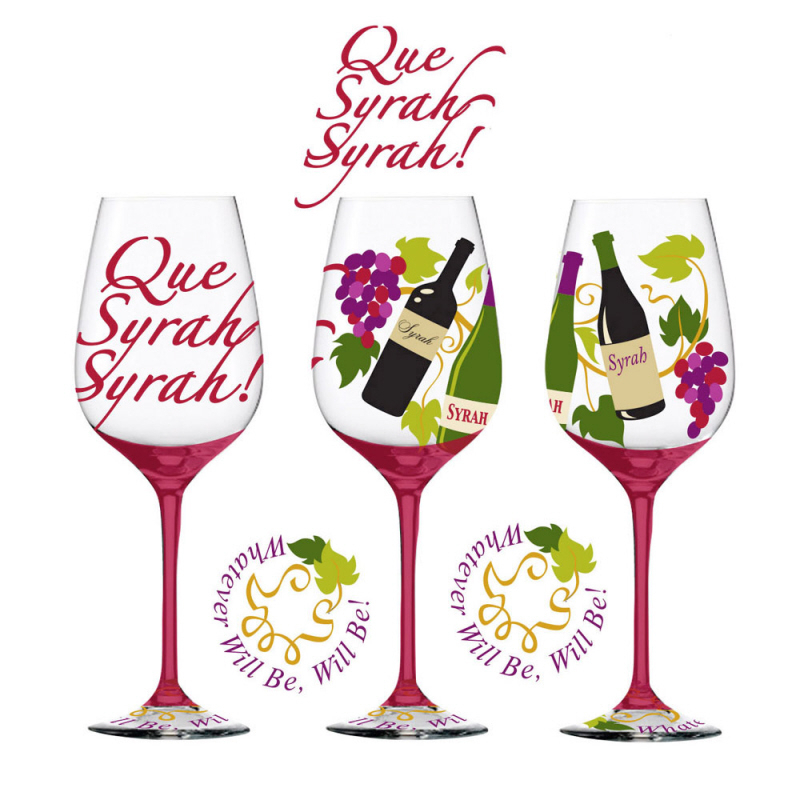 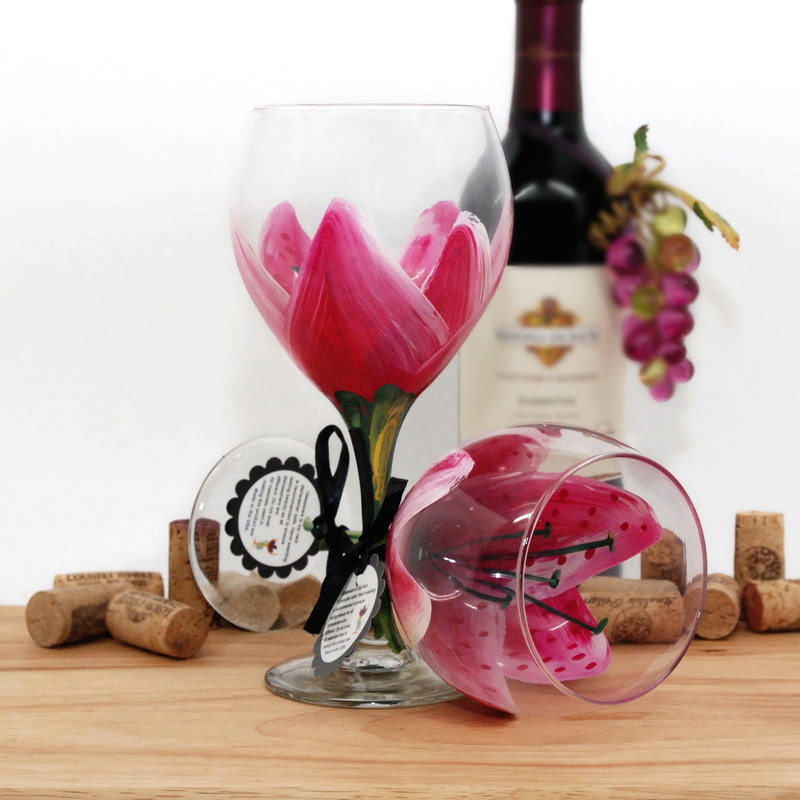 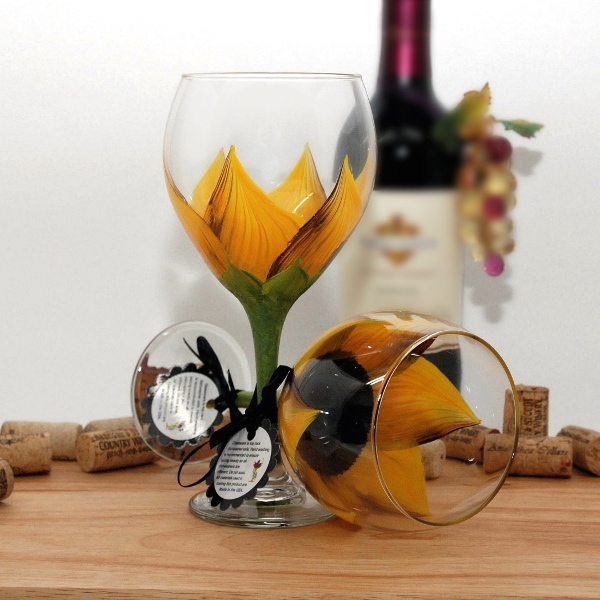 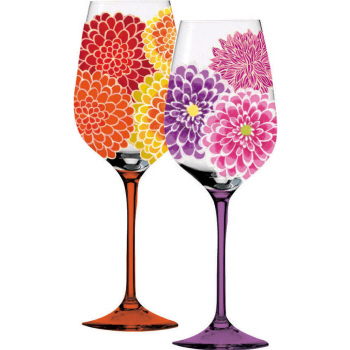 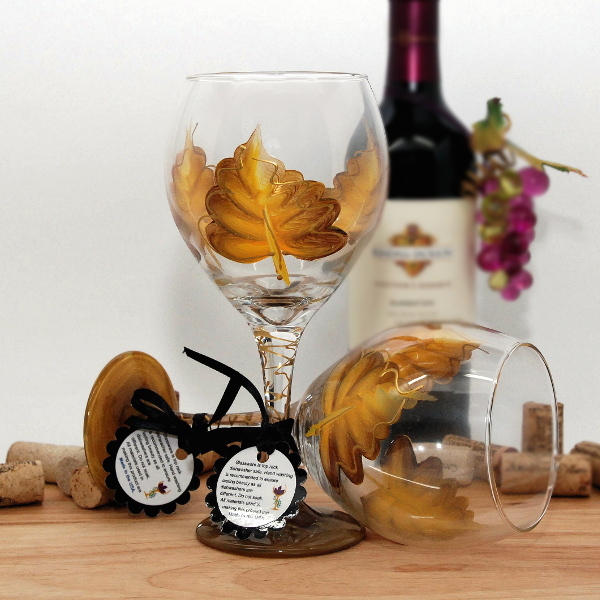 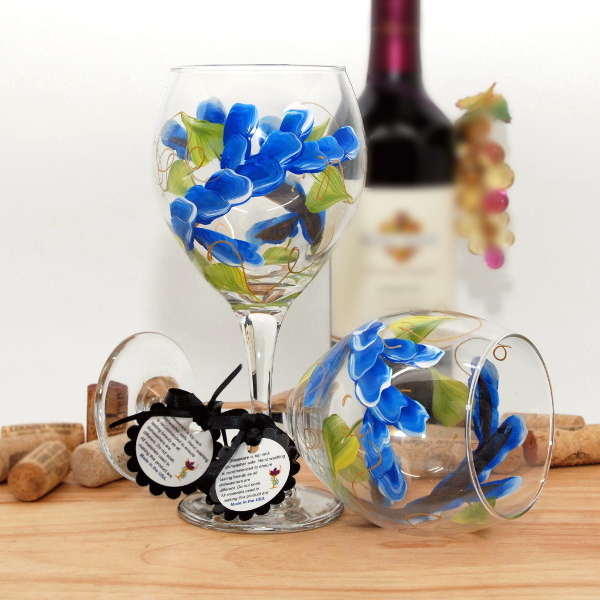 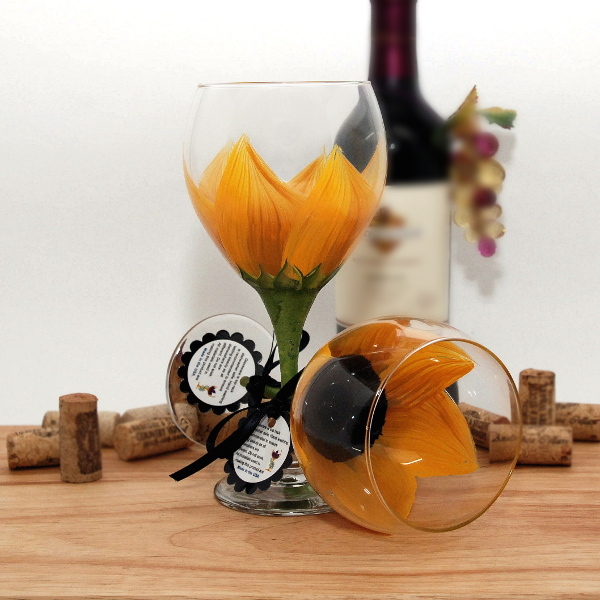 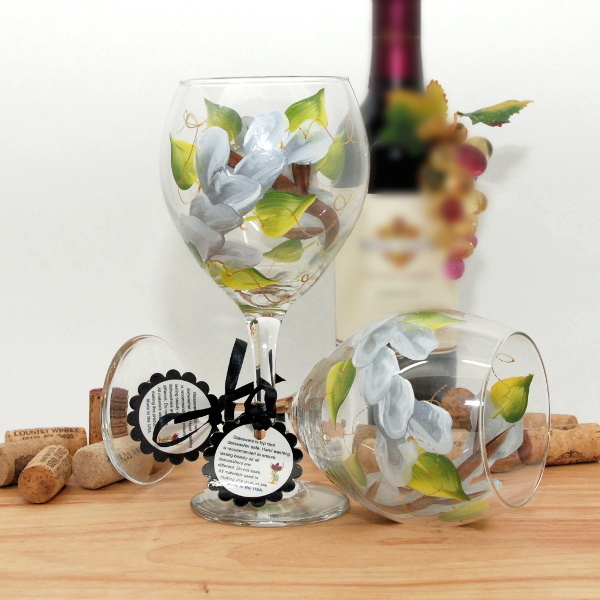 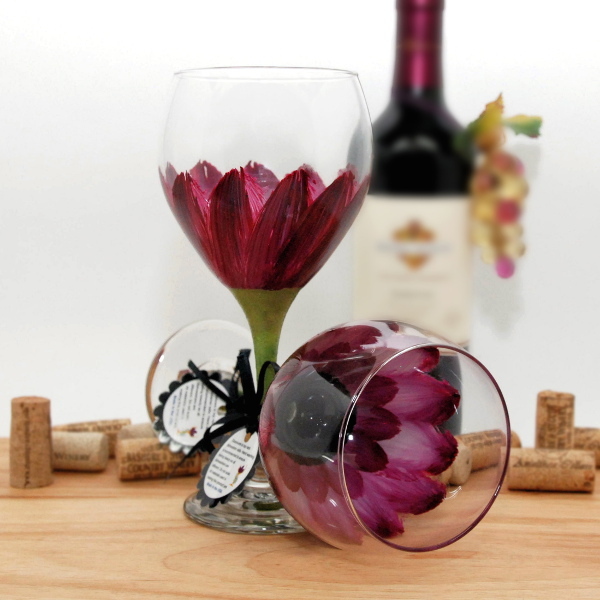 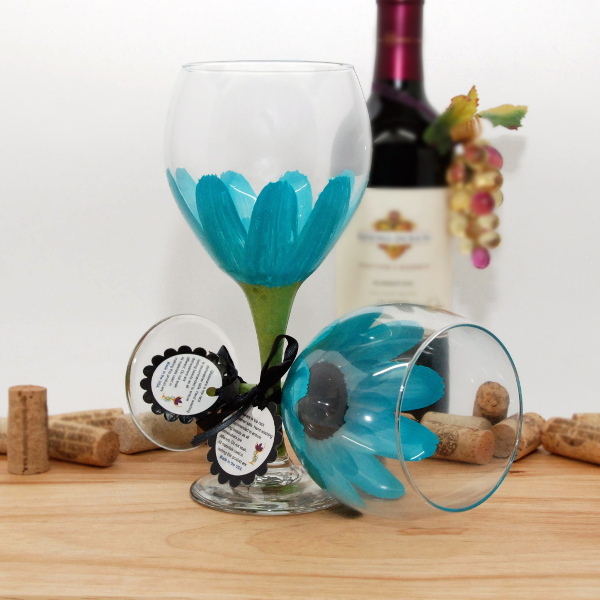 Painted wine glasses are a great way to express your personality, showcase your interests, or convey a touching message. 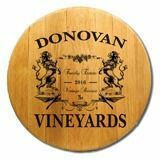 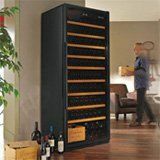 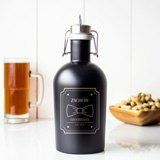 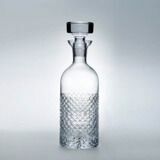 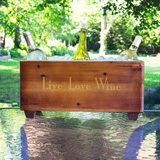 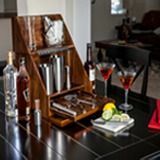 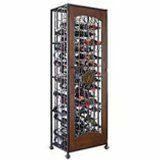 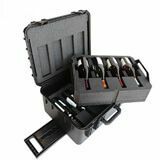 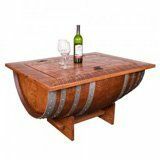 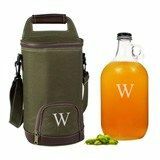 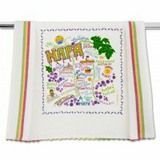 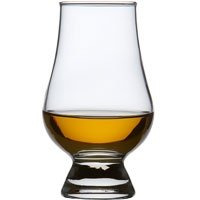 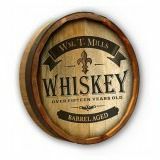 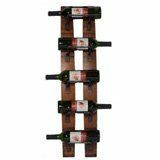 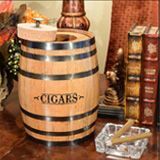 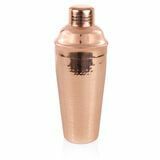 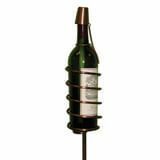 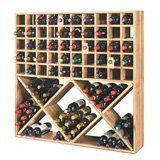 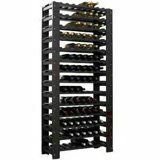 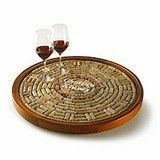 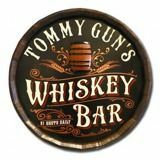 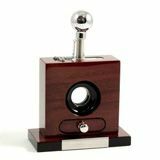 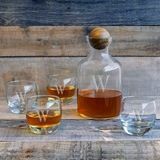 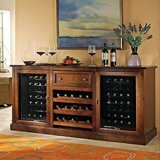 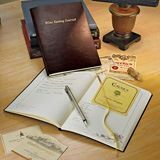 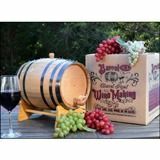 They're even valuable when you're not drinking, as their beautiful designs allow you to store them out in the open as a decorative accent in your kitchen, bar, or dining room. 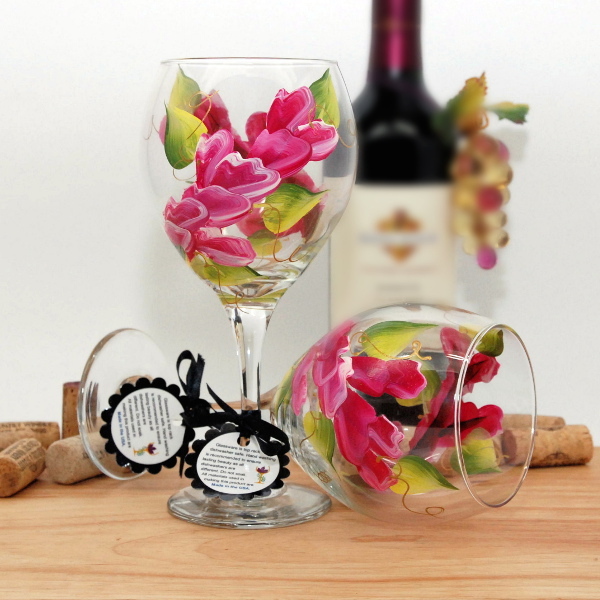 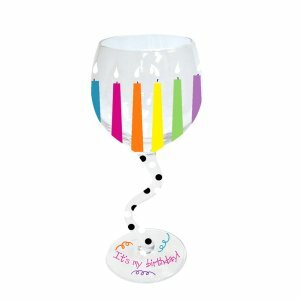 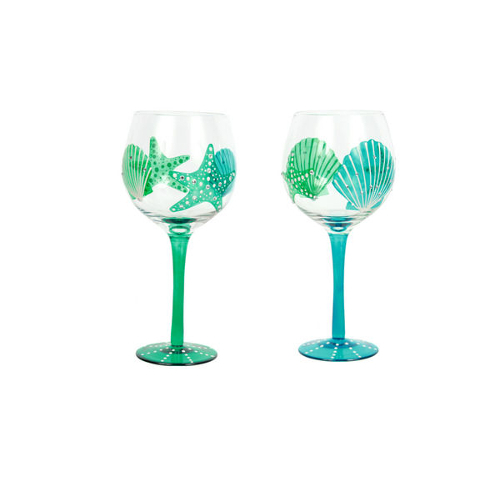 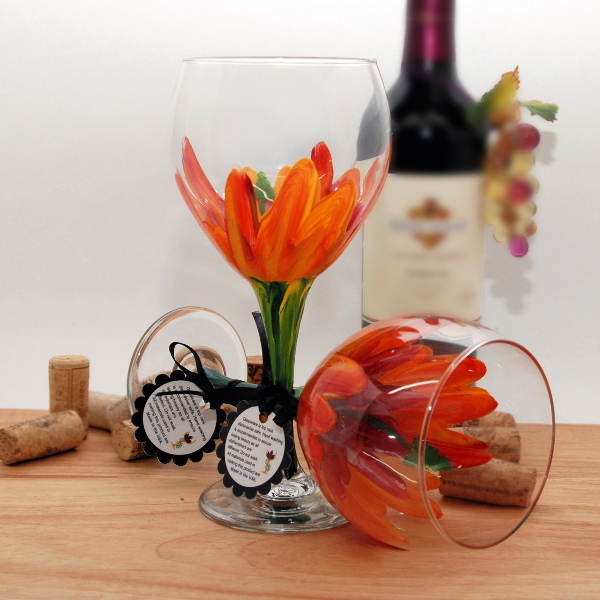 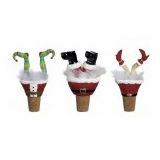 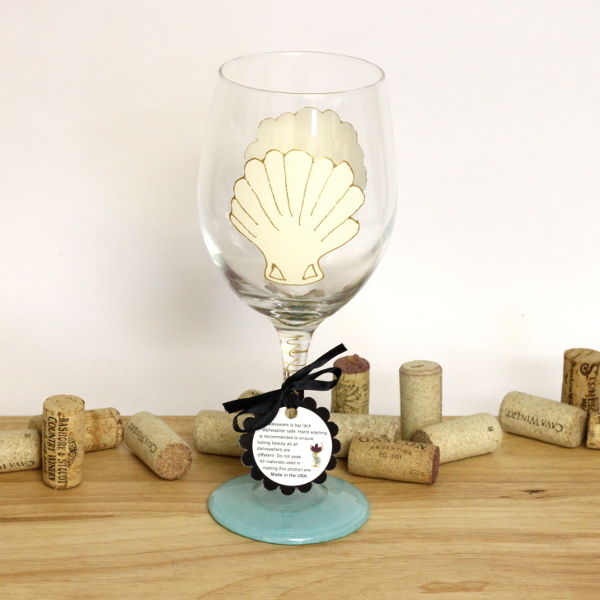 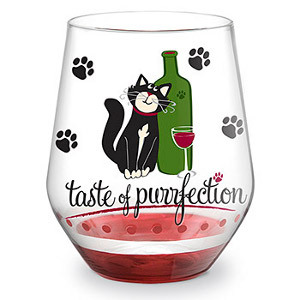 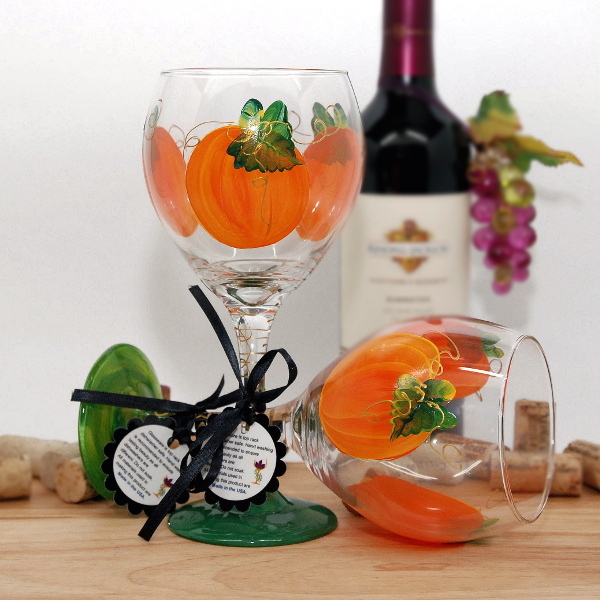 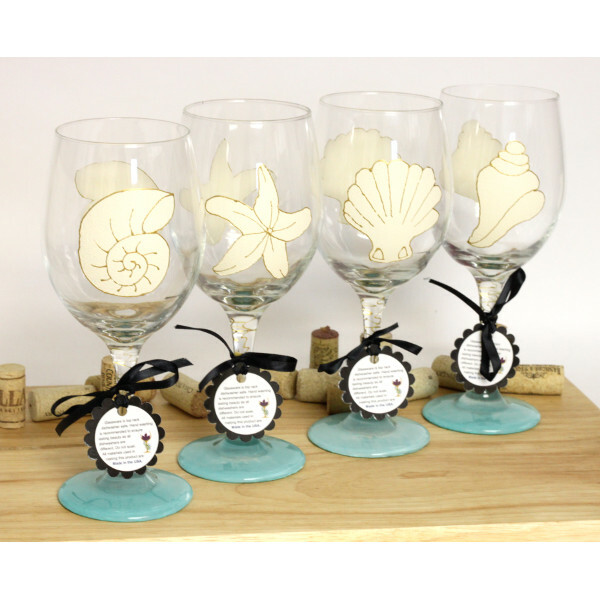 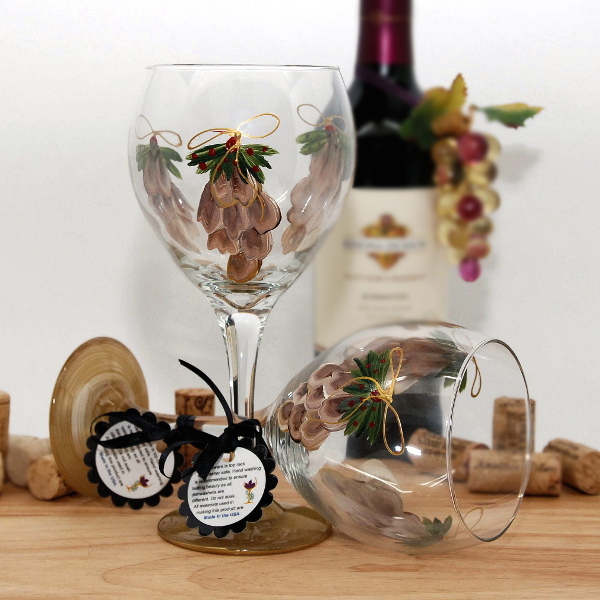 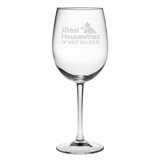 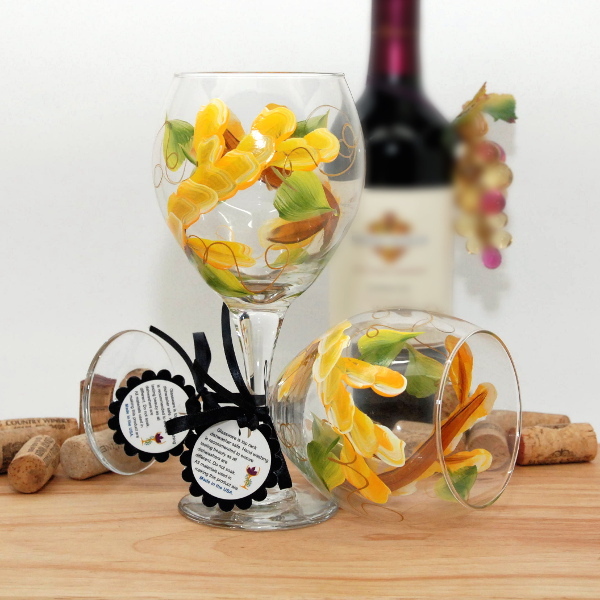 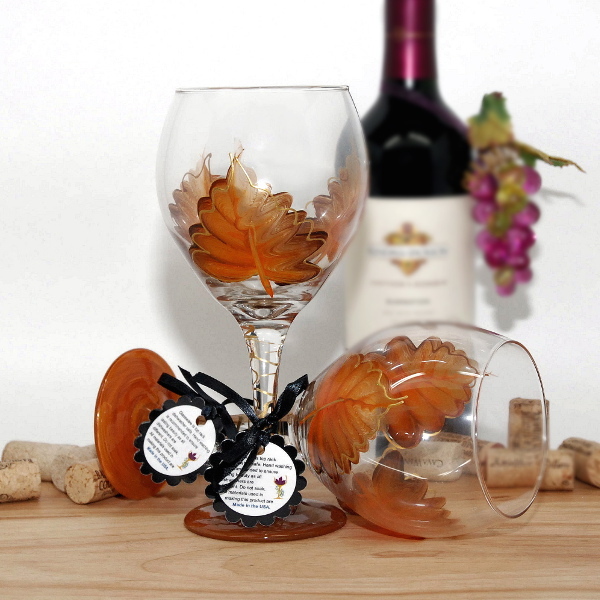 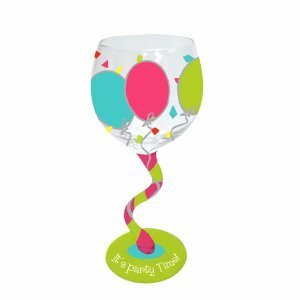 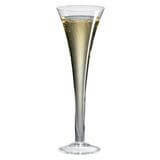 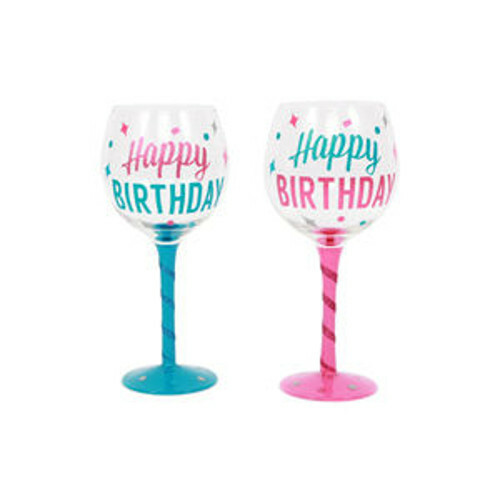 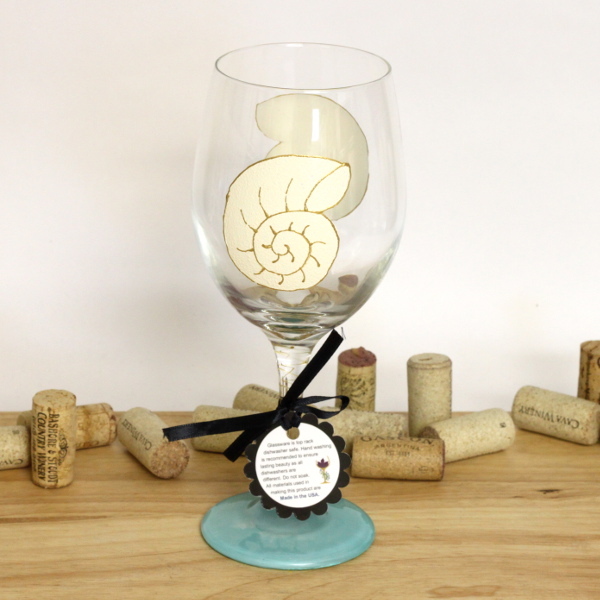 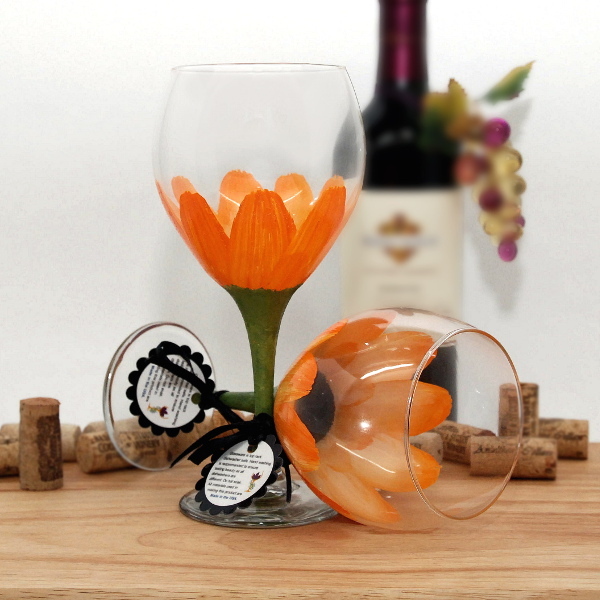 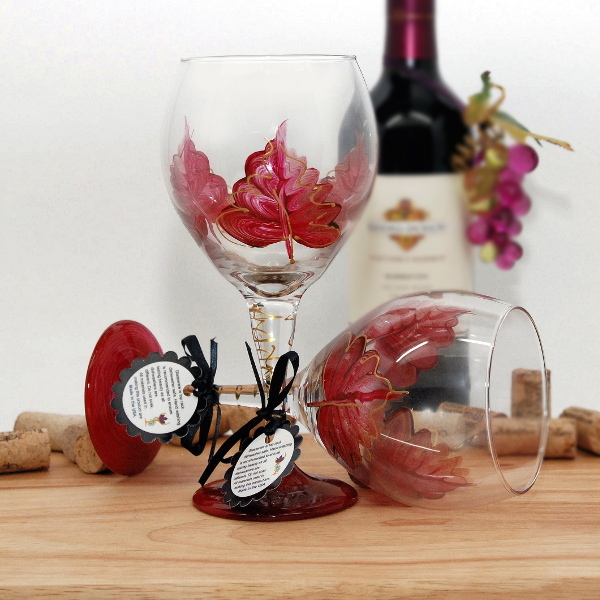 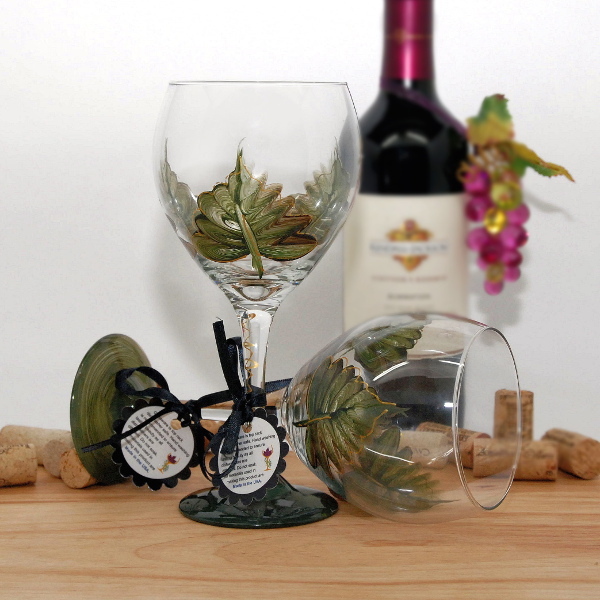 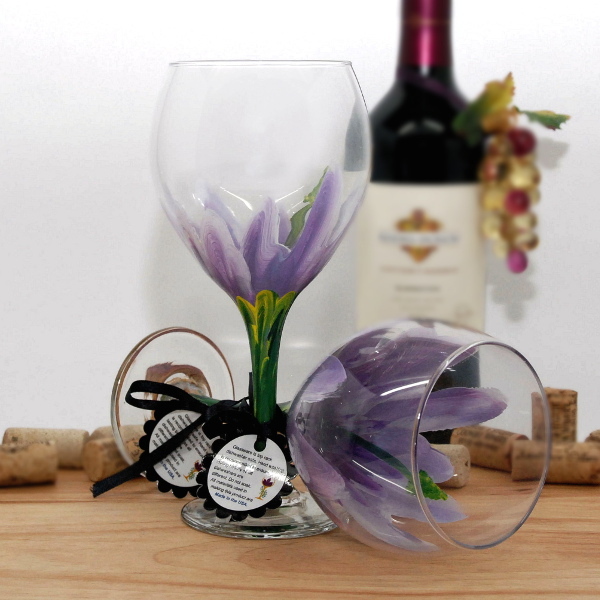 Decorated wine glasses are easily identifiable, meaning there will be no confusion as to which drink belongs to which person. 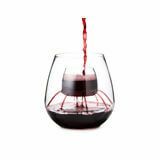 You'll never have to worry about grabbing the wrong beverage and accidentally swapping spit with that person who has a cold. 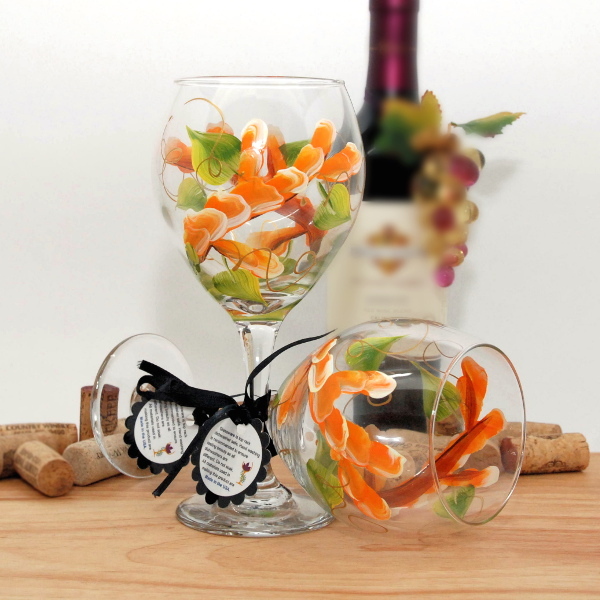 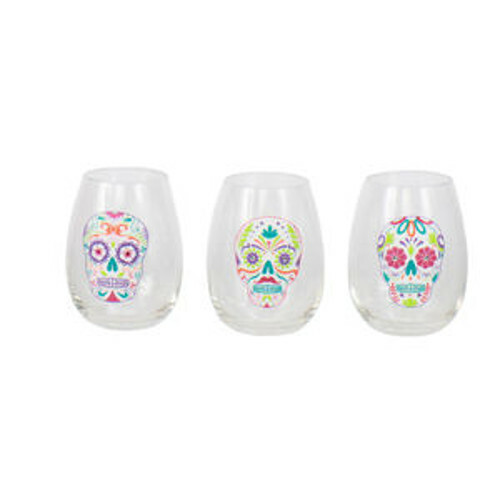 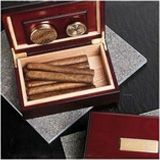 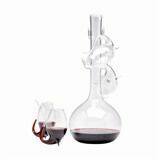 Because of this, they are the perfect choice for sipping cocktails during dinner, chugging sangria during a girl's night, or tasting the complexities of a rate and exotic wine. 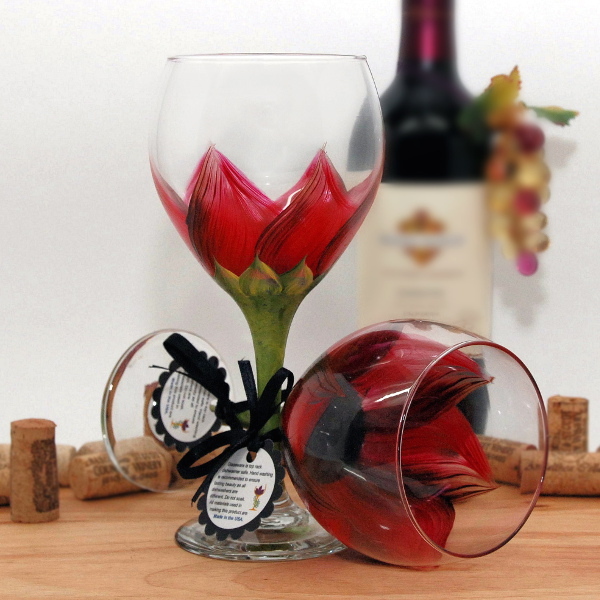 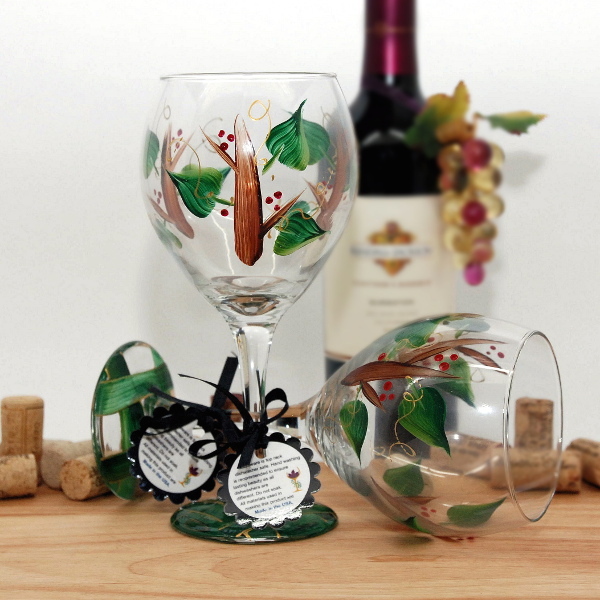 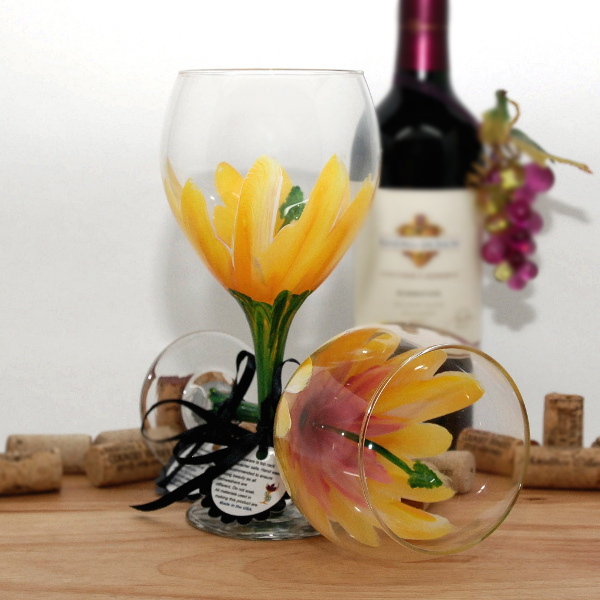 Painted wine glasses make great gifts for loved ones and acquaintances alike. 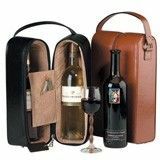 Celebrate a friend's unique tastes, commemorate a family member's special day, or give a versatile wine gift to a coworker that they will appreciate for years to come. 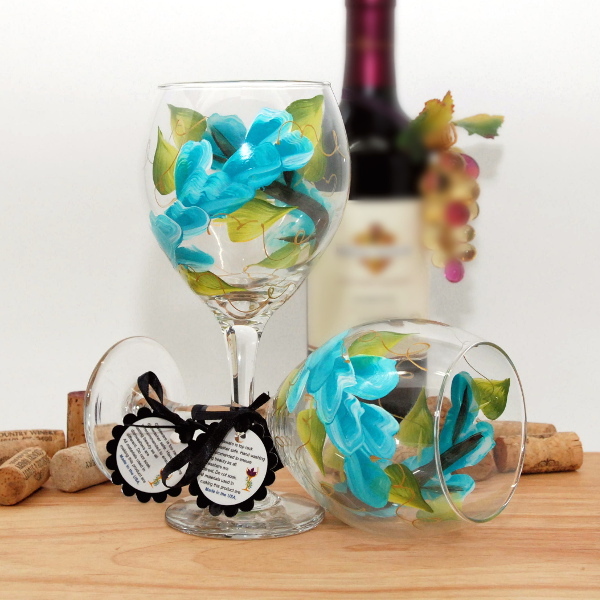 Each piece is extremely unique and many are handpainted for a truly original and authentic vibe.